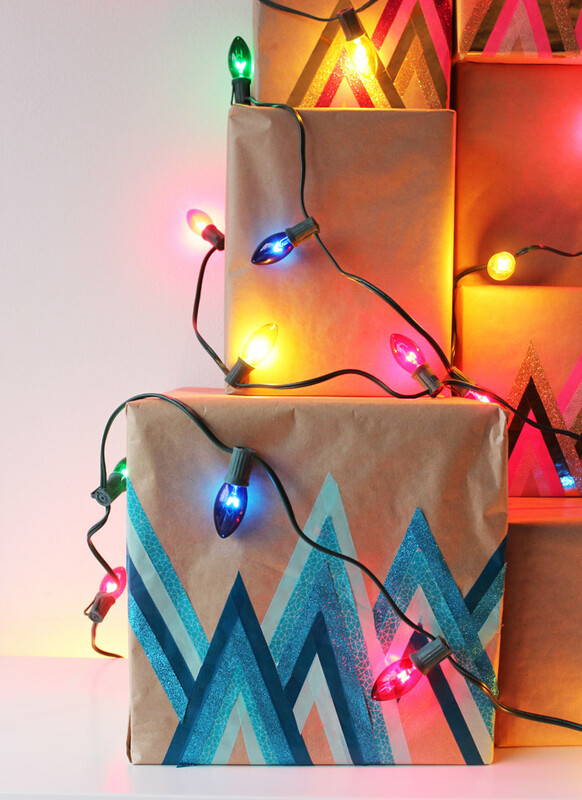 Every year one of our favourite traditions we like to do is think up a fresh new way to wrap gifts. 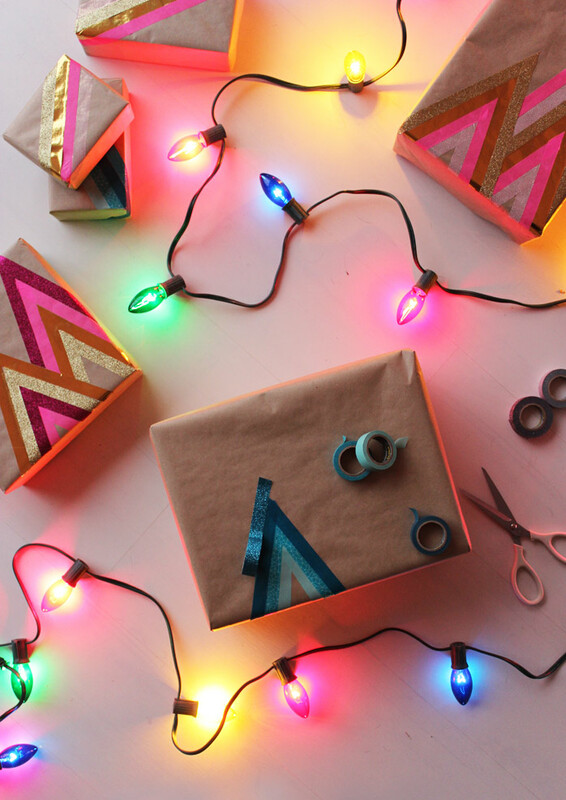 Whether it's pretty papers or a new ribbon, wrapping gifts has always been a fun activity we look forward to. 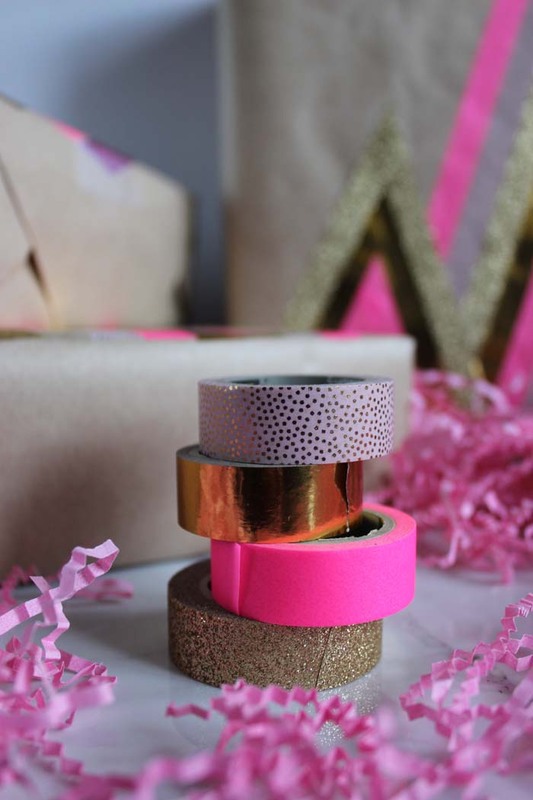 So this year inspired by all the washi tapes from Scotch® Brand Expressions Washi Tapes collection, we created gift wrap ideas using some of their patterned and glitter tapes. 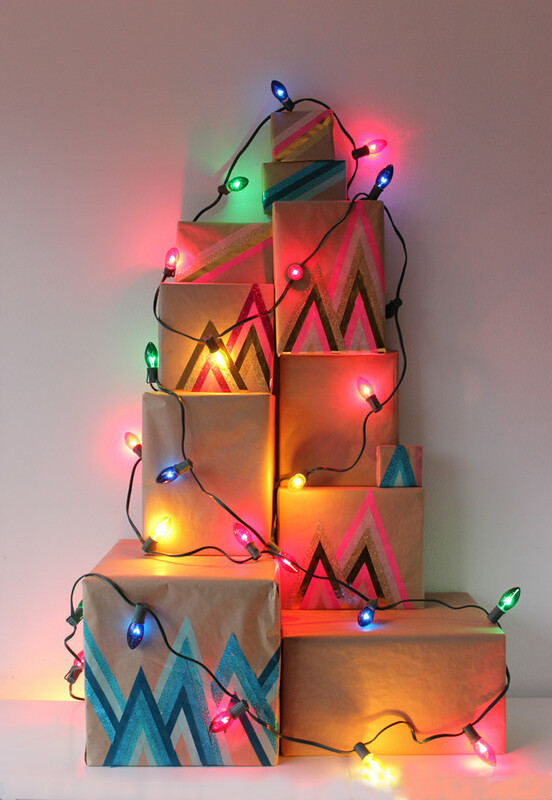 I wanted to create the look of holiday trees (although Earl thought they looked like mountains), but whatever they are, I like how they turned out. 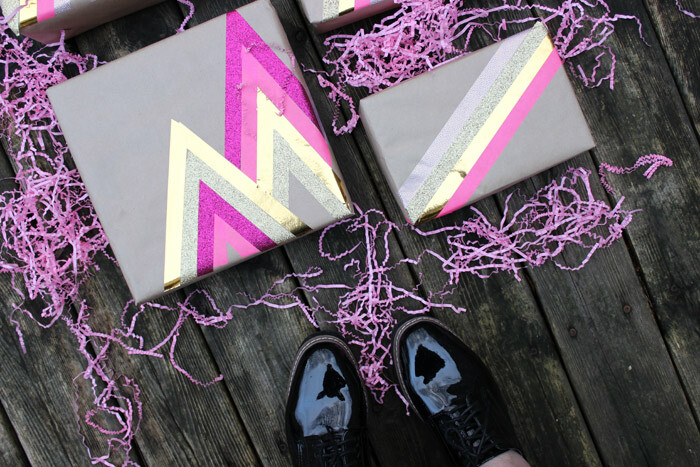 One in a blue ombre and the other in neon pink and gold tapes. We also made a video tape to show you how we made them. It's all pretty straight forward, and fairly simple to create. We also even sent a few off in the mail, and I liked the idea that they could be packed on top of each other - with no bows to worry about squishing. Let's take a look! 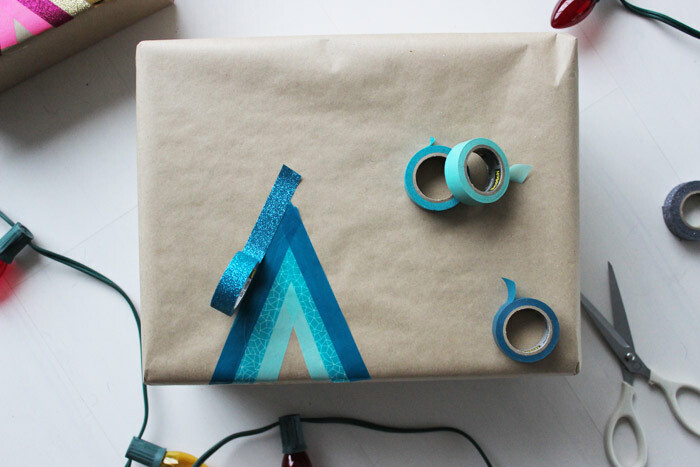 Wrap the gift using the kraft paper. To start to create a tree/mountain design, start with the small upside down "V" first. And then overlap slightly over each upside down "V", trimming the point at the top with a scissors to create a straight point. 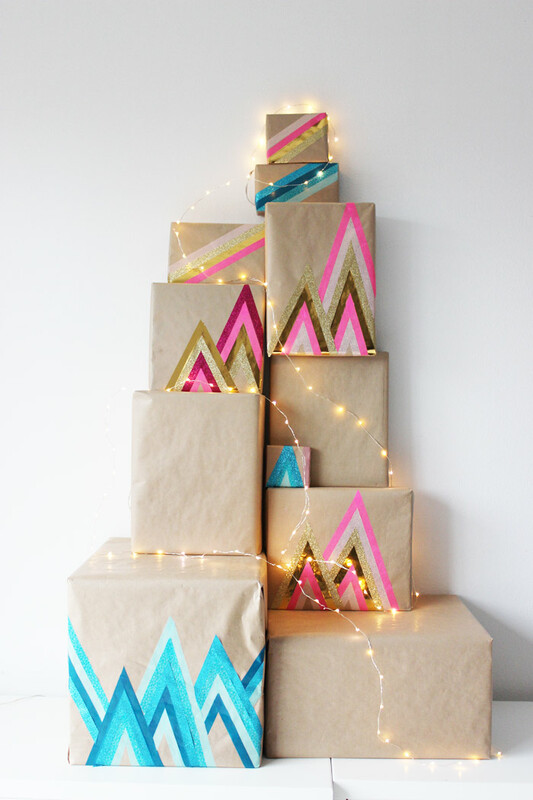 Continue overlapping a new colour of tape for each layer until desired design is obtained. We also made a few with just a few strips, and then left other packages plain, to create a varied collection. Check out the video below for a better look.